Stop the painstaking methods of creating detailed rhinestone designs and start being productive! Three rhinestone design software programs make creating transfers and decals a breeze. Rhinestone design has come a long way from hand-drawn patterns on thin tracing paper. Technology makes the process of designing with hotfix rhinestones, rhinestuds and nailheads easy, allowing you to let your inner artist loose. 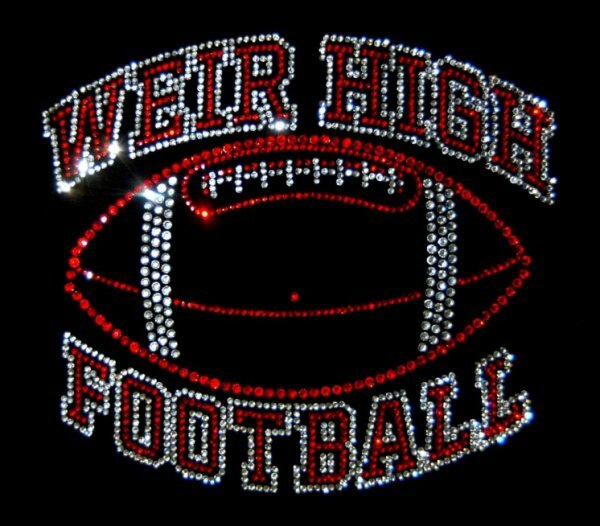 Rhinestone designs can be created with the tools available in CorelDraw. Any version of CorelDraw will do, but version X4 or later is recommended since they have the Centerline trace option. The Centerline tool traces a single line down the middle of each line in a bitmap of a scanned image, with an option to outline any areas wider than a specified width. Earlier versions of CorelDraw don’t have the convenient Centerline feature. The main tools to set stone positions in all versions of CorelDraw are Blend, Envelope and Spray Tools. Centerline trace works well for designs that have tracing as part of the process. However, rhinestone designs are often more difficult than a simple trace. Rhinestone fills, for example, do not require a trace, nor does tracing help with all single line objects (such as outlines). 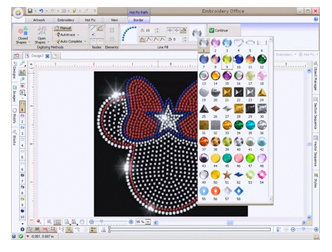 With graphic design programs such as CorelDraw, there are several add-on programs available to help make the process of rhinestone artwork easier. One popular add-on is the LED Tool 6, which has an “auto fill” function that adds LED’s to any shape. 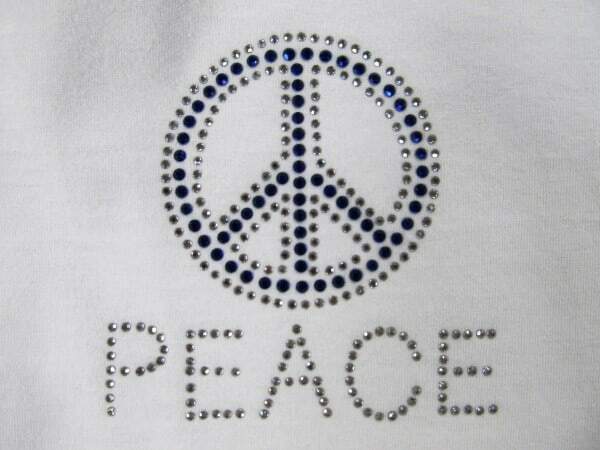 Patterns can be easily modified for rhinestones designs and transfers. Using CorelDraw for rhinestone placement, the bottom line is that there is more than one way to create your product, but to do it quickly often requires additional charges. The costs may not be unreasonable, but for some rhinestone design companies, especially startups, every penny counts. For years, embroiderers have relied on Sierra’s Embroidery Office 9 or Stitch ERA Liberty to produce embroidery designs in a variety of formats. 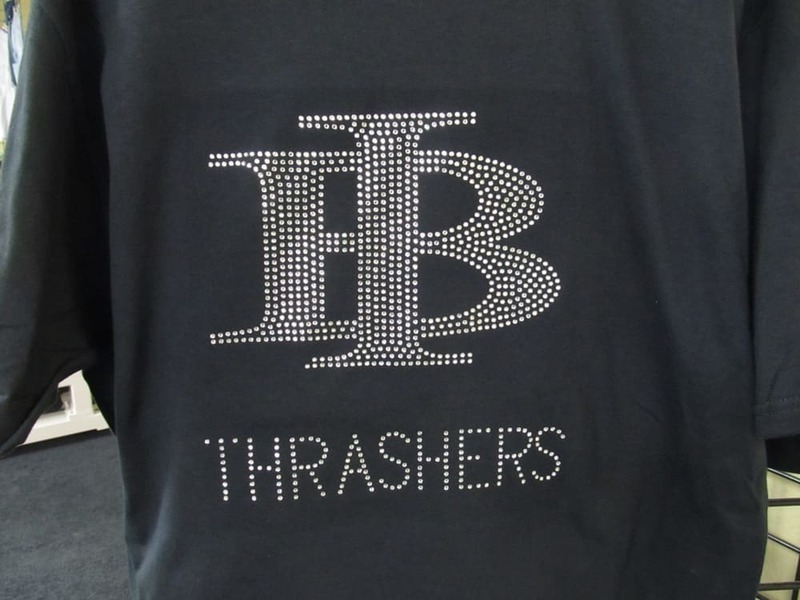 Sierra’s Hotfix Era Rhinestone Transfer software brings the same functionality and ease of use to rhinestone T-Shirt, transfers and decal production. Hotfix Era’s powerful interface will allow you spend more of your valuable time on your business, producing magnificent custom rhinestone transfer designs that your customers will pay a premium to get. 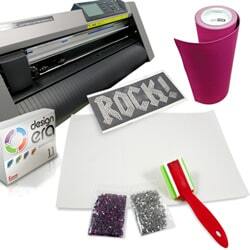 Included with the Brush-N-Bake Starter Kit, Hotfix Era software comes with drivers that allow you to use any HPGL or GPGL Plotter/Cutter (like the Graphtec RoboPro 15″—also part of the Brush-N-Bake kit). After your rhinestone business takes off, the Hotfix Era software can be easily upgraded to work with the high-performance CAMS Automatic Rhinestone Setting Systems. Working with consumer graphic design software like CorelDraw may be nice, but sometimes it is just not enough. For the professional rhinestone designer, the time you spend trying to get CorelDraw to work for your project, especially under a customer deadline, is production time wasted. You want something both powerful and specifically made for rhinestone design. GemMaster Rhinestone Digitizing Design Software is a Windows-based program exclusively for making challenging and intricate rhinestone patterns, either by using existing artwork or creating your own unique custom designs. GemMaster has an interface similar to the popular Adobe Photoshop graphic design software, but with additional features that allow you work with any bitmap image, as well as a variety of rhinestone colors, sizes and shapes. Design, store and recreate your work on a PC, with an easy model for working with straight lines, circles and arcs. Apply a background image file for multimedia designs using rhinestones with embroidery, direct to garment and screen printing. GemMaster also features automatic positioning according to x‐y coordinates, for perfect placement every time. GemMaster comes standard with all CAMS Automatic Rhinestone Setting Machines, and Colman and Company has a wide range of downloadable CAMS templates. CAMS design files are ready for immediate download in a two-color GemMaster format (.yng) designed exclusively for use with CAMS Machines. With the GemMaster software and Colman and Company hotfix Rhinestones, Rhinestuds and Nailheads, you can quickly and easily add bling to almost any surface. Immediately give your product line added value, by adding high-profit rhinestone designs that your customers will love! 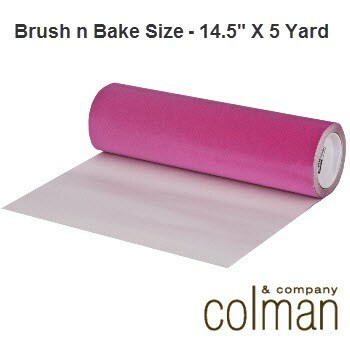 Colman and Company carries a full line of rhinestones, rhinestuds, nailheads and supplies, including the software you need to unleash your creativity. For more information, contact ColmanAndCompay.com or call 800-891-1094. We may be experts in rhinestones, but we always appreciate new ideas! What are you tips and tricks for working with rhinestone design software? Join the conversation below in the comments.